Cece was born in CP care on 09/03/16 to an owned pregnant cat who was signed into the care of Gosport Cats Protection. 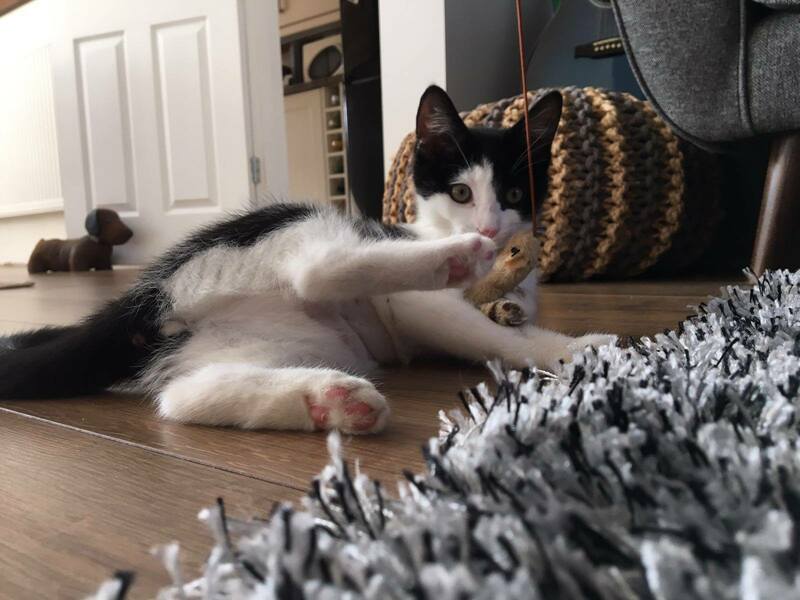 Originally named Maddie she was renamed Cece by Hollie and Shaun who adopted her on 14/06/16 and after only a few days in her new home, Cece looks like she's having fun and is well settled. Hollie says is getting on just fine, is as good as gold and so playful! Thanks are also sent to Chris who fostered Cece.